Astrology by the movements of celestial bodies. Augury: by the flight of birds. Bazi or four pillars: by hour, day, month, and year of birth. Bibliomancy: by books; frequently, but not always, religious texts. Cartomancy: by playing cards, tarot cards, or oracle cards. Ceromancy by patterns in melting or dripping wax. Cheiromancy: by the shape of the hands and lines in the palms. Chronomancy: by determination of lucky and unlucky days. Clairvoyance: by spiritual vision or inner sight. Cleromancy: by casting of lots, or casting bones or stones. Cold reading: by using visual and aural clues. 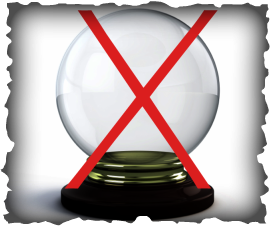 Crystallomancy: by crystal ball also called scrying. Extispicy: by the entrails of animals. Face Reading: by means of variations in face and head shape. Feng shui: by earthen harmony. Gastromancy: by stomach-based ventriloquism (historically). Geomancy: by markings in the ground, sand, earth, or soil. Haruspicy: by the livers of sacrificed animals. Horary astrology: the astrology of the time the question was asked. I Ching divination by yarrow stalks or coins and the I Ching. Kau cim by means of numbered bamboo sticks shaken from a tube. Lithomancy: by stones or gems. Necromancy: by the dead, or by spirits of the dead. Palmistry: by lines and mounds on the hand. Pendulum reading: by the movements of a suspended object. Pyromancy by gazing into fire. Runecasting or Runic divination: by runes. Scrying: by looking at or into reflective objects. Spirit board: by planchette or talking board. Taromancy: by a form of cartomancy using tarot cards. Tasseography or tasseomancy: by tea leaves or coffee grounds. Any participation is any one of these is a doorway to demonic spirits and is an abomination unto God. One who participated must repent and renounce all ties, open doorways and destroy the object at hand.